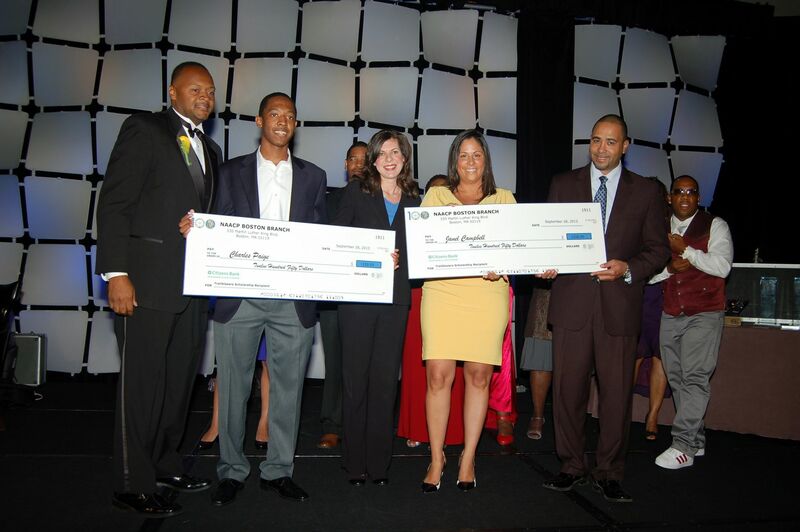 PSG was proud to sponsor the “2013 Trailblazer Scholarship Award” at this year’s Annual Freedom Fund Dinner held by the NAACP Boston Chapter. PSG Manager Laurie Fiumara presented the scholarship to two deserving students: Charles Paige, a graduating senior at Wayland High School, and Janel Campbell, a freshman at Howard University. Both students are graduates of the NAACP Boston branch’s Pipeline to Leadership Program and both have given over 100 hours of community service in the past year. The NAACP Boston Chapter’s Annual Freedom Fund Dinner Boston was held September 28 at the Westin Copley Place Hotel. The Freedom Fund Dinner is a tradition for NAACP Branches across the country. The dinner provides an opportunity to recognize local and national leaders, corporate citizens and young people who continue to demand civil and human rights.